I remember Tuesday morning September 11, 2001 when American Airlines Boeing 767 flight 11 plane crashed into North Tower of World Trade Center in New York City at 8.45 A.M. I was driving on south bound lanes of US 23 on my way to Ypsilanti City giving ride to a friend who was returning home after he finished his work in Plymouth City. I was listening to my car radio and the appearance of smoke at World Trade Center was immediately reported by the radio station and gave it undivided attention. 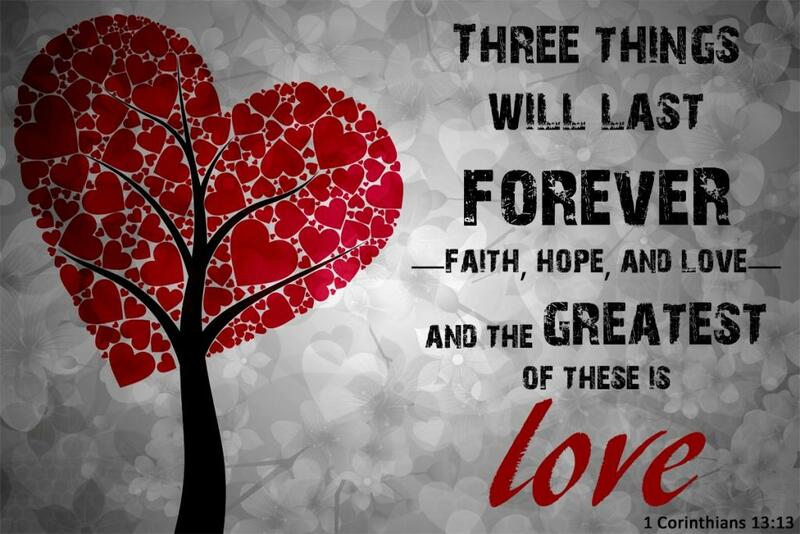 Now, these three things remain; 1. Faith, 2. Hope, and 3. Love. Ann Arbor, Michigan, USA 48104 – 4162. At 8:45 a.m. on September 11, 2001, an American Airlines Boeing 767, Flight 11, collided into the World Trade Center’s north tower in New York City immediately killing hundreds of people and trapping hundreds more in the 110-story skyscraper. Only 18 minutes later, a second Boeing 767, United Airlines Flight 175, flew into the south tower. Both towers afire, burning debris covered the surrounding buildings and the streets below while hundreds jumped from the towers to their deaths in an attempt to escape. About 30 minutes later, a third plane, American Airlines Flight 77, crashed into the west side of the Pentagon near Washington, D.C. and a fourth plane, United Flight 93, crash-landed into a field in Pennsylvania killing all 40 souls onboard. Meanwhile, both World Trade Center towers collapsed into a terrifying and deadly inferno of rubble. On September 11, 2001, sitting President George W. Bush addressed the nation with a formal statement, “Terrorist attacks can shake the foundations of our biggest buildings, but they cannot touch the foundation of America. These acts shatter steel, but they cannot dent the steel of American resolve.” Eleven days later, the Office of Homeland Security in the White House coordinated a comprehensive national strategy to safeguard the country against terrorism and respond to future attacks. Operation Enduring Freedom, the American-led international effort to oust the Taliban, began on October 7, 2001. Although the Taliban was weakened, the war continued and Osama bin Laden, the mastermind of the 9/11 attacks, remained at large for nearly a decade. On May 2, 2011, U.S. Special Forces SEAL Team Six invaded bin Laden’s fortress in Abbottabad, Pakistan and took down bin Laden. Sitting President Barack Obama stated, "The death of bin Laden marks the most significant achievement to date in our nation’s effort to defeat al Qaeda." He added, "his demise should be welcomed by all who believe in peace and human dignity." Immediately following this victory, in June 2011, Obama announced withdrawals of troops from Afghanistan. However, in August 2017, sitting President Donald Trump outlined a new plan to increase deployment of American troops into Afghanistan to continue to fight the Taliban. 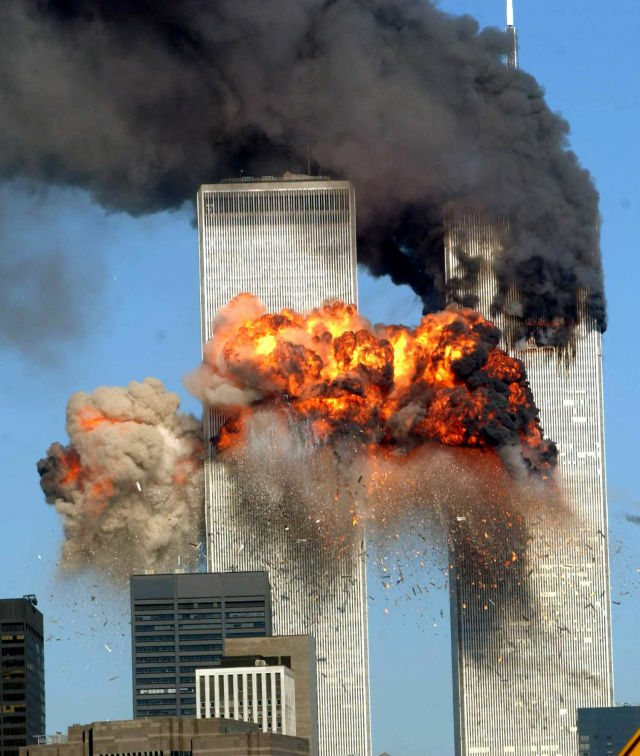 At the hands of 19 militant terrorists associated with the Islamic extremist group al-Qaeda headed by Osama bin Laden, more than 3,000 people (including more than 400 police officers and firefighters) were killed and more than 10,000 others were wounded during the attacks on 9/11. It was the deadliest terrorist act in U.S. history and the most devastating foreign attack on American soil since the attack on Pearl Harbor. Survivors and family members of survivors have come forward with stories of bravery and triumph. Tens of thousands have suffered. The initial Victim Compensation Fund (in operation from December 2001 to June 2004) received 7,408 applications from 75 countries and made 5,560 awards totaling over $7 billion for both death (2,880) and personal injury (2,680) claims. Awards ranged from $500 to $8.6 million with an average award of $2,082,128, all tax-free. Watch ‘Road to 9/11,’ a HISTORY special that gives a 360-degree overview of the events that led to the attack. On January 2, 2011, sitting President Barack Obama signed the James Zadroga 9/11 Health and Compensation Act of 2010 in honor of NYPD detective and first responder James Zadroga who died in 2006 from respiratory problems attributed to the inhalation of toxic dust from the World Trade Center disaster site. Also known as the “First Responders Bill,” this Act expanded the scope of the Victim Compensation Fund to include first responders and individuals who later experienced health problems related to 9/11. More than 20,000 claims have been processed since then and close to $3 billion in compensation for lost wages and other damages related to illness have been rendered. While there are thousands of known victims and survivors, some remain unknown. The Office of the Chief Medical Examiner of the City of New York has custody of 7,930 unidentified remains of those killed in the attacks. The remains are located in the World Trade Center Repository situated between the two footprints of the Twin Towers on the sacred ground of the World Trade Center site. There is a private Family Reflection Room that is not open to the public. Family members can also speak with World Trade Center anthropologists who can answer questions about the steps they are taking to identify the remains of 9/11 victims. • The Flight 93 National Memorial is located at the site of the crash of United Airlines Flight 93 about 2 miles north of Shanksville, Pennsylvania. The memorial honors the 40 passengers and crew who died on 9/11. 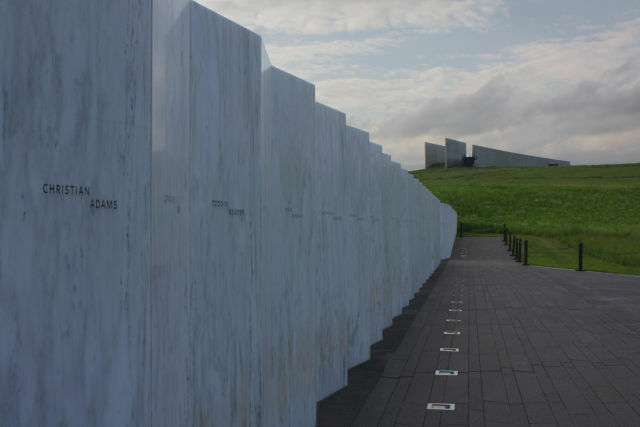 It features concrete walls outlining the Flight Path Walkway and a white marble Wall of Names. There are also plans to construct a 93-foot tower to designate the entrance of the Flight 93 National Memorial which will contain 40 wind chimes — one for each passenger and crew member who died. 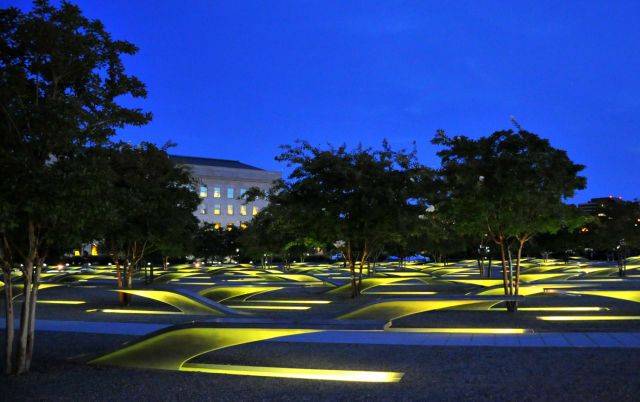 • The National 9/11 Pentagon Memorial located in Arlington, Virginia, honors the loss of 184 people who died on September 11, 2001. Each victim’s age and location at the time of the attack are inscribed into the Memorial starting from the youngest victim, three-year-old Dana Falkenberg, to the oldest, John D. Yamnicky, 71, a Navy veteran, both of whom were aboard American Airlines Flight 77 that morning. • The National September 11 Memorial & Museum, a nonprofit in New York City, remembers and honors the 2,983 people killed in the horrific attacks as well as hundreds more who risked their lives to save others and all who demonstrated extraordinary compassion in the aftermath of the attacks. It is located at the epicenter of Ground Zero at the World Trade Center site. The names of every person who died in the terrorist attacks are inscribed in bronze panels around two enormous memorial pools with waterfalls that stand in the footprints of where the twin towers once stood. A Callery pear tree that miraculously survived within the rubble of Ground Zero, now known as the "Survivor Tree," stands tall and thriving nearby. 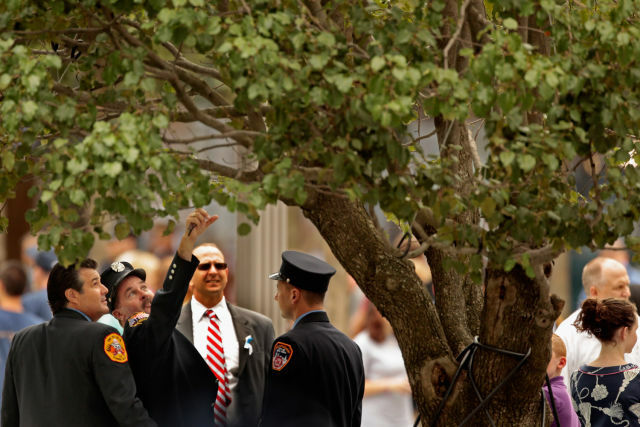 A symbol of strength and resilience here and elsewhere, each year, the 9/11 Memorial gives seedlings from the Survivor Tree to communities that have endured tragedy. For more about the events of 9/11, visit HISTORY.